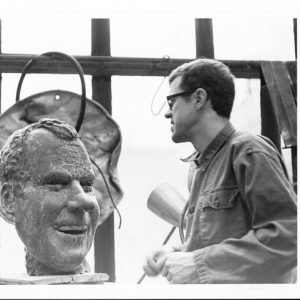 Join us in celebrating the life and work of metalsmith, jeweler, and political artists, J. Fred Woell (CAA Sculpture, ‘69). 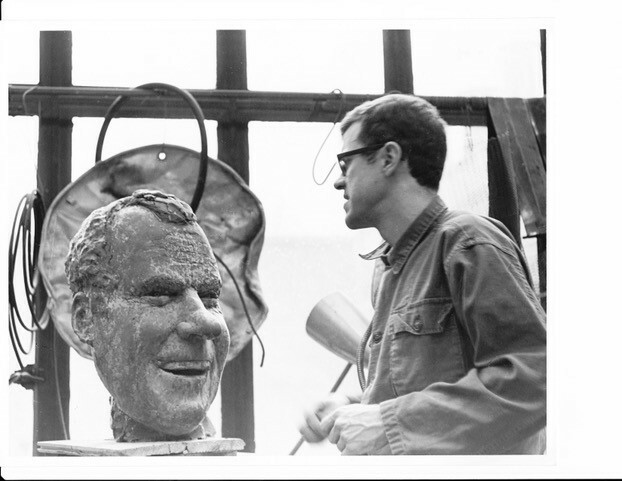 A new documentary film directed by Richard Kane, J. Fred Woell: An American Vision (2017) celebrates the pioneering metal artist who created work with wit, satire, and meaning. In 1965, J. Fred Woell took his cast silver jewelry to New York City galleries and was turned down flat. “Use gold or forget it,” they said. A confirmed contrarian, Woell vowed to make jewelry from material of no value, inspiring the term “anti-jewelry.” Nearly fifty years later, he was honored with the Lifetime Achievement Award from the Society of North American Goldsmiths. Fred Woell: An American Vision chronicles Woell’s life and artwork, which is now housed in permanent collections across the country and internationally, including at the Museum of Arts and Design. Woell has inspired generations of students through positions at Boston University, the Swain School of Design, Haystack Mountain School of Crafts, and SUNY New Paltz, as well as through his many workshops and mentorships. Iris Eichenberg, Artist in Residence and Head of the Metalsmithing Department at Cranbrook Academy of Art will welcome viewers before the film. Hosted by Cranbrook Art Museum in conjunction with the Metals Department.